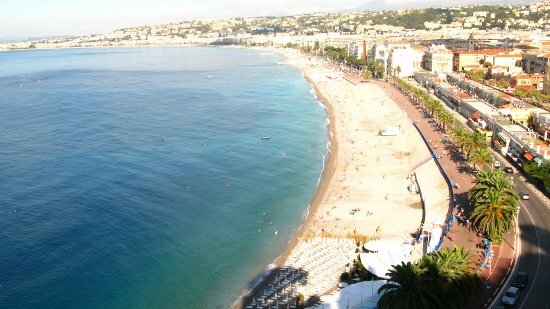 French Riviera Beach photos are some of the most picturesque images you will ever see, with their stunning coastlines, landscapes, and skylines. Whether they grace your wall, sit on your desktop, or fill your favorite album, nothing says gorgeous more than pictures of the French Riviera. 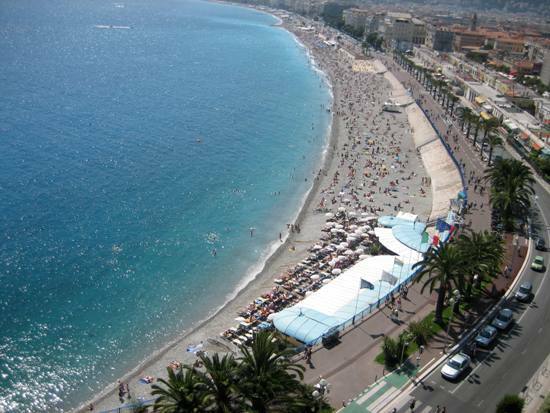 The French Riviera, otherwise know as the trendy Côte d'Azur, is the Mediterranean coastline in the southeast of France. While it has no official borders, it is said to extend from Menton in the east to St. Tropez in the west. 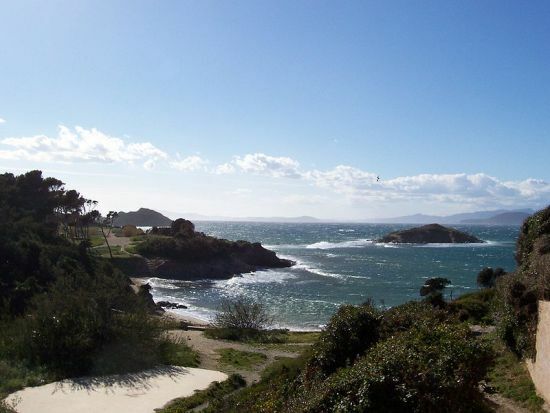 What makes the region so popular and what makes French Rivera Beach photos so unforgettable are the long stretches of sandy and pebbled beaches, the perfect Mediterranean climate, and the sparkling waters. Add to this the scenic beach restaurants located along the entire coast, the view of parasols stretching for miles, a colorful beach, the sight of parasailing and paragliding over blue waters - and you have a picture-perfect setting. Many French Riviera Beach photos are romantic, real-life wedding pictures! The beach venue is considered ideal for an outdoor or sunset wedding and every year scores of couples arrive on the scene to say their "I dos." The Côte d'Azur is also a perfect location for snapping honeymoon and anniversary pictures. 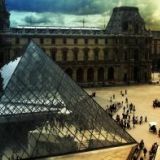 In fact, some folks use their French Riviera photos to personalize their wedding invitations or adorn the cover of their Christmas and New Year's cards. 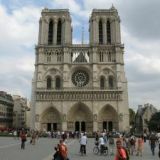 Cruise weddings in the area have also taken off in the past few years, and the French Riviera is one of the most frequented yachting destinations in the world, hosting about half of the world's super yacht fleet each year. If you want to rub nose with celebrities while you snap some star French Riviera Beach photos, keep your eyes peeled for the likes of Elton John and Brigitte Bardot, who own homes in the area. 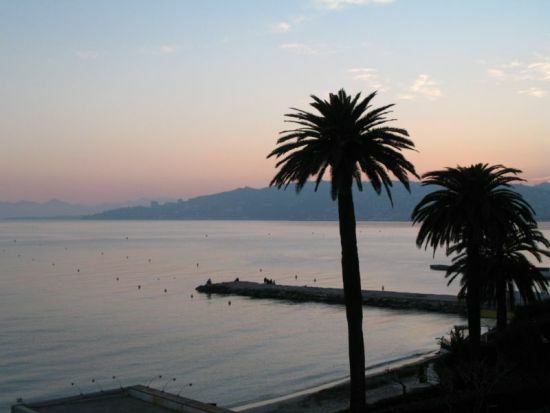 Furthermore, the region is host to the annual Cannes Film Festival, 'the' event of the year in the movie industry. Every year, Cannes attracts the rich and famous so you may just run into some well-known celebrities, many of whom stop to pose on the beach. At the same time, you can enjoy the rest of what Cannes has to offer, including haute couture shopping, luxury boutique shops, fine wining and dining, museums, and more. Once you are finished taking French Riviera Beach photos, check out the rest of the region, featuring architecture from the Belle Epoque (Beautiful Era) of the latter half of the 19th century. You will find lavish villas, extravagant hotels, architectural styles from pre-historic times, and magnificent gardens to wander in.